Julie Adams concentrates her legal practice on the representation of management in labor and employment law matters. She represents employers in the retail, hospitality, technology, manufacturing and healthcare industries, among others. This representation has included providing advice and counsel on discrimination and harassment suits on the basis of age, race, national origin, gender, and disability, leave issues, non-competition and non-solicitation agreements, and retaliation claims. As such, she is well-versed in matters arising under Title VII, the Family and Medical Leave Act, the Americans with Disabilities Amendments Act, and various North Carolina state employment laws. 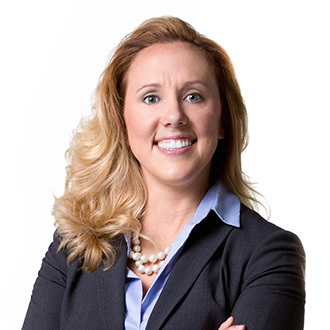 Prior to joining FordHarrison, Julie was an attorney at a large multi-national labor and employment law boutique firm and was a contributing member to the firm's EEO, Retail, and Corporate Compliance practice groups. Obtained numerous dismissals and summary judgment for national clients in cases involving Title VII, ADA, FMLA, FLSA, and various state and federal anti-discrimination and anti-retaliation laws. Defended large national retail company in a case tried to a jury in federal court involving claims of race discrimination and a requested seven-figure award by the plaintiff. Provides interactive employment law and anti-harassment training for her clients, which include retail, hospitality, and manufacturing companies.